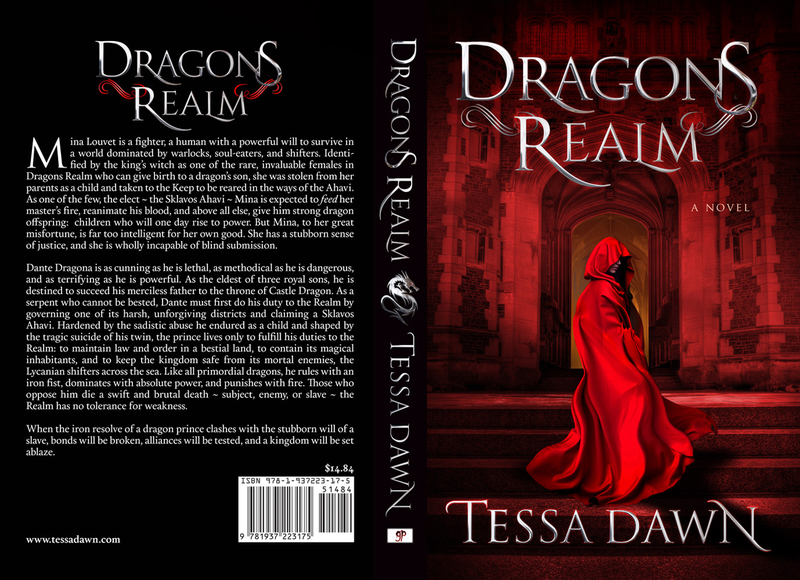 As most of you know by now, Dragons Realm is out in paperback, eBook, and Audio Book. Thanks to all of you, it has been a #1 New Release on Amazon since the day it was released, including hanging out as a #1 bestseller in Dark Fantasy and Gothic Fiction. WHY IS DRAGONS REALM A STAND ALONE BOOK? IS THERE ANY CHANCE IT WILL BECOME A SERIES??? Two years into the process, I realized that I needed to reevaluate a few things: Although I had initially planned to make Dragons Realm a trilogy (Dragons Realm, Dragons War, and Dragons Lair), it became abundantly clear that this "trilogy" would take about 6-7 years to complete, I would have to back off writing the Blood Curse Series to get it done, and readers would still have to wait years between releases. Heck, the world-building alone took me nearly six-months to create! So there I was with this complex story, enough world-building to sustain a long term series, and the sudden realization that this was going to be a monumental task that would require the majority of my focus...and time. One thing was clear: I could not speed it up and still do it well. There was simply too much research and cross-checking required. Eventually, I figured out a way to plot the original story into a single, stand-alone book with three distinct parts, and this took another nine months. So *that* is how Dragons Realm came about, and now that it's out, it is no surprise that readers are seeing the scope of the world building, feeling a strong connection to the characters, and wondering if there isn't a whole lot more that could come from this saga: say, an entire series or a serial? Perhaps, several individual short-stories? And my answer to the question is this: I hear you, and I completely agree ~ there are so many future possibilities. :-) However, one fact remains: It is still a very slow-going, complex sub-genre (for me as a writer), and anything I work on will take quite some time to complete. With that in mind, I am weighing all the options. Yes, two-to-three years would be a long time to wait for a sequel, but perhaps a short-story (something that picks up thirty-years into the future) is in order. :-) I can certainly see a dozen possibilities. The AUDIO BOOKS are still releasing at a steady pace. Blood Destiny ~ Already out. Blood Awakening ~ Already out. Blood Possession ~ Already out. Blood Shadows ~ Already out. Blood Father ~ In the process of being recorded. Blood Vengeance ~ Scheduled to be narrated in December. Blood Genesis ~ Scheduled to be narrated in December. Blood Ecstasy ~ To be announced in 2016. Whew! What a major update. Thank you so much for your ongoing support of these works, and please don't forget: You can always keep up with new releases by joining my mailing list. I use the list to notify readers of each new book, the morning the book comes out.